Woman Hands With Beautiful Pastel White Flower Rose Bouquet. 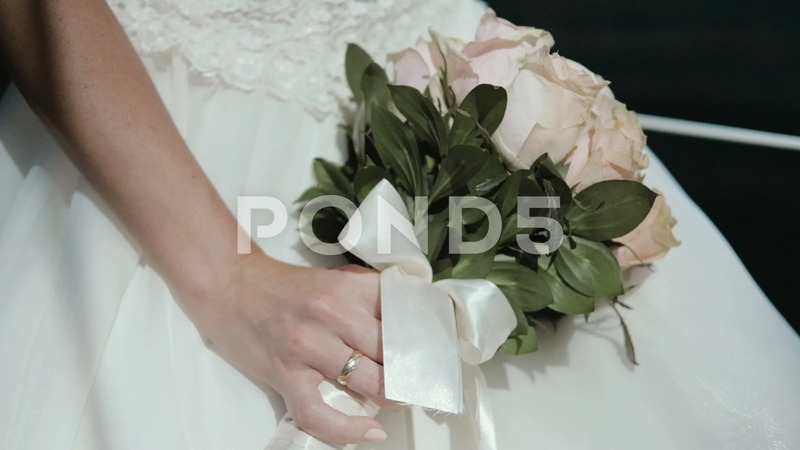 Description: Woman hands with Beautiful pastel White Flower Rose bouquet. Bridal Flower Decoration.